What to wear on a night ride? This week I’ve been asked by a friend what should be worn on the London to Brighton night ride in July. Also how cold does it get? Last year the ride was in May on that hot weekend, yes the one we had, the lowest temperature was 18 degrees C if I remember. However part of this ride you body is battling against lack of sleep and this is a factor, therefore 18 degrees can feel like 10-12. Due to the weather I wore shorts (lycra obviously) and my jersey with my jacket in a back pack/rucksack. At 4am when the sun comes up its a little chilly in the Surrey/Sussex countryside. I remember a cold mist/fog on some of the rolling countryside, it really was a beautiful scene. As we know its also colder in the countryside than urban areas, especially if there is little or no cloud cover. All these will impact on your body and potential to ride. A jacket is a must, tights optional depending upon the weather & personal choice as is a back pack/rucksack. There are plenty of jackets on the market which fold away into a pouch which reduces the need for a rucksack and you could use leg & arm warmers to keep the limbs comfortable. I used my jacket between the second and third rest stop around dawn just to keep the chill off before the sun worked its magic for a glorious summers day. One way to find out is to include a training ride in similar conditions. Going for a 4am ride when you are cold will provide some vital experience for anyone who is completing their first night ride. You will get to find out how good your kit is before event day. I suppose a training ride in the rain better be a good idea too! For now let’s not combine the two! Last year I researched the blogs and experiences of those who completed the Manchester to Blackpool night ride in September 2010. They all had jackets but it was September in the north west. It could well have been raining. Plus something I didn’t have last year a saddle bag. This is ideal for your pump, spare tube, multi tool & depending upon size & how secure its fixed keys, wallet & small first aid kit. This should then reduce the need for a rucksack, but let’s see. Experience helps. Last year I took on too much sugar and not enough water, resulting in cramp in the calf. Whilst Haribo and Jaffa cakes are very useful water is a key ingredient too. Less sports drinks, instead water and gels (if I can find some which actually taste nice). Suncream! Not just for the beach afterwards, if the weather is good, the sun can be strong in July and the back of your neck can be exposed. Sunburn hurts. I hope this has been useful to anyone completing their first (or second) night ride. You can show your support at my fundraising page. See you in the saddle soon. This entry was posted in Uncategorized and tagged Cycling, equipment, London to Brighton, night ride, The BHF. The Giro comes to a close on Sunday in Brescia and Vincenzo Nibali look like he will take the Pink Jersey in a well faught victory across Italy (and a bit of France). The other Tour De France contenders would didn’t complete in the Giro will probably take thier place in the Criterium du Dauphine. In 2012 Sir Bradley Wiggins took victory on his way to be the first British winner of the tour. He has also won Paris/Nice earlier in the season Team Sky’s Christopher Froome will be hoping he can complete a victory like his team mate did last year in his preperations for the 2013 tour in July. Froome didn’t win Paris/Nice but has shown some good early season form. This year the race will contain a certain Alberto Contador who is looking to regain the tour honours after missing the last two due to a ban. In my opinion the Giro was a liitle predictable when Wiggo had to withdraw, although Nibali certainly has been the best rider in the peloton and deserves his win (if he gets it on Sunday) and the return to form for Cadel Evans means that the big names are looking to be in good shape before the grand depart on Corsica in July. Tomorrow we wil find out what shape Froomy is in and how Team Sky are looking in the attempt to retain the title. In my opinion the 2013 tour has the potential to be a good one with Nibali, Contador, Wiggo and Froome battling it out to be crowned the winner of the 100th Tour de France. Plus when you add into the mix other riders who could cause an upset such as Evans and maybe Sammy Sanchez. Next week could tell us a little more about the shape of the riders before the grans depart. I can’t wait for this to unfold. Allez! Allez! It took a while, but with some extensive research, reading blogs, reviews and forums, plus some expert advice from Evans Cycles, I have finally made my decision. 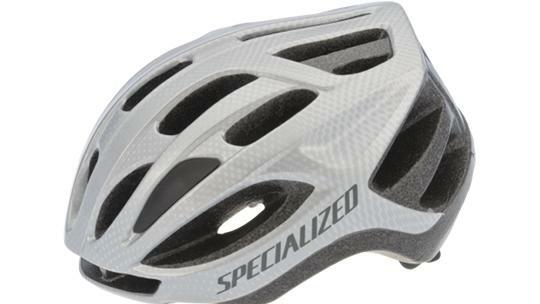 I’ve gone for the Specialized Allez Sport 2013. I was a close call between a number of bikes from the Trek 1.2T H2 or the compact version, or the Cannondale Synapse 7 Sora and a number of other makes and models but @iamspecialized won the day. It is a very nice Twitter account, not that should be a reason for deciding which bike is best for you, but at least I could tweet that I am specialized! Why did I opt for the Allez Sport? Well I decided for the silver model like the one above, mainly as I preferred this to black but they are both very nice. I do prefer the dark handlebar tape. On the black bike it is white, but this could be changed in-store at a small cost. I also think a silver bike will be better than black for the night ride come July (although lights will be the main way of being spotted and staying safe). I have a 56cm frame which feels very comfortable. My height suggests a 58cm and this is what I’ve had in the past but each bike is different so its why its so important to get the right size for you. My friend has a 54cm but height suggests a 56cm would be right. Its all about what feels comfortable for you and how long your arms are. My advice is to take advice from the qualified staff at your local bike shop. After a few rides I’ll be in a position to give a more formal product review for each of the new purchases, so watch this space. You may have noticed the above picture has no pedals on the bike. Some bikes are sold without pedals as they are a very personal choice for each rider. The Allez Sport does come with normal pedals but I have decided to move towards being attached to the pedal for better efficiency on the bike. This might just help me achieve my target time of London to Brighton in sub 4 hours. 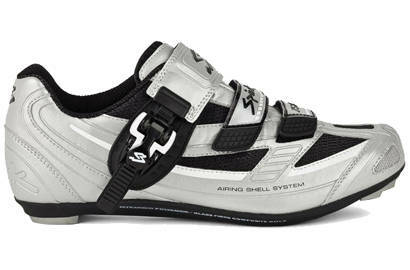 The above are the entry level Shimano pedals at a very competitive price just £23.99. Well with clip less pedals come shoes. I have wide feet and therefore need a shoe which caters for this. Again I have spend many hours researching the shoes. The above Spiuk ZS11R had 33% off which helped, but after reading reviews and seeking advice in store I have a pair of shoes which have a ratchet fitting which keep the shoes in the right place on your foot resulting in more power being transferred into the pedal. The result faster and longer rides. I did try the more popular brands like Shimano but after trying on a couple of pairs, Shimano were a little tight across my feet. This is totally a personal choice, but due to my wide feet I’ve gone for the above. Another good feature of the Spiuk ZS11R is they have a winter and summer fitting which help keep your feet warmer and and cooler depending upon the season. With the UK weather the way it is at the moment the summer feature could be something I never get to try out. See it is true the Brits do talk about the weather, just one for any international readers out there. The above come in a bright yellow (which I nearly got), a nice red, black, white and the silver and black above. It fits with the rest of the bike a silver colour theme is definitely going on. The silver theme continues with the helmet. I just better not cycle in the fog or misty conditions as I will blend in more than others. The helmet was a free accessory from Evans Cycles along with some new fingerless gloves. The gloves are black and not silver. I did have a look and if they had them I probably would have kept the theme going there too! The above is a one size fits all and does fit perfectly on my head. I find it is a better fit than my existing Bell helmet which was more expensive. I wouldn’t have bothered with a new helmet and could have used the extra allowance for shoes, but as the pair that fitted the best had an offer on this allowed me to utilise the free accessories a little more. After all with a silver theme going on a black helmet could have ruined the look! The ride to work scheme has served me well. Now its just the actual riding to work to gain the full benefit of a healthy lifestyle (or a more healthy one anyway). Bring it one along with the wind, rain and hopefully sun. If you out and about this weekend enjoy your ride. If however you’re not out enjoy watching the final weekend of the Giro D’Italia and Nibali’s victory come Sunday afternoon. Stage 15 of the Giro! Maddness or Racing? Some would say this was mad, others its racing, but what is certain is this is action from yesterday’s stage 15 of the Giro D’Italia, and yes the riders are riding through the Alps into France with snow either side of the road. At the time this pic was taken the stage had been neutralised, which mean the riders weren’t actually racing up the mountain, due to the weather. There was concern of dangerous road conditions on the decent, so the riders rode together at a steady 27kmph!. Even going up a mountain in freezing temperatures the pro riders are travelling quicker than me in the British summer time. The moving average on my last ride reached the dizzy heights of 24.4 kmph! To me however it s why I enjoy cycling so much. 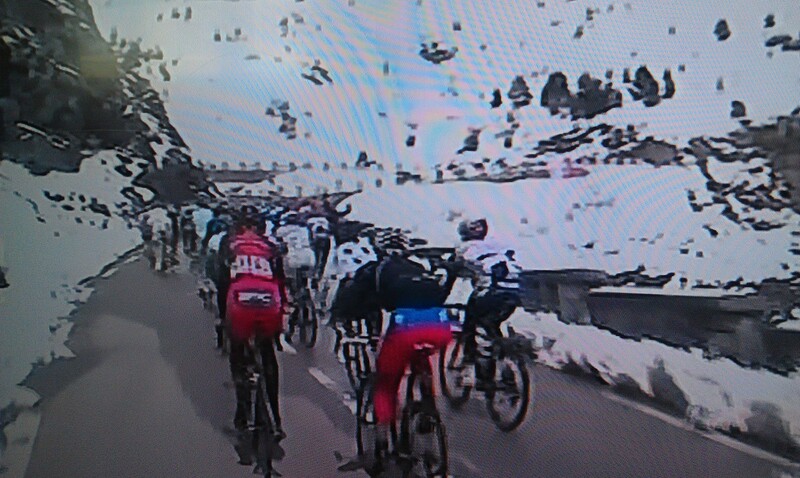 The riders really do put themselves through the mill riding the Giro. British rider @SteveCumminfs16 riding for @BMCProTeam is pictured climbing up the road with the picturesque scenes to either side. Win the first grand tour of the season and you really are in good shape. It might not be the “crown” of the season, that being the Tour, but its still a great achievement and one the top riders want on their CV. Unfortunately Wiggo wasn’t able to add the Giro to his Tour victory but will fight on to compete again I’m sure. I know cycling has a dark past which it is working hard to shake off, but respect has to be given to these riders who are able to cope with the weather conditions and the increadably steep mountains they climb. The mountains on stage 15 have also been used in the Tour but as this is in July there is less snow around. Even so the fact the peloton drag themselves up these climbs day in day out means they deserved admeration for their efforts especually from (very) amature cyclists like myself. Today thankfully is a rest day in the Giro (even though the riders will still get out on their bikes, but not race) so maybe some time to recover before the third week of the Giro and the final stage into Brescia on Sunday. What now for Team Sky? On the day that Sir Bradley Wiggins is foreced out of the Giro D’ItaliaI have been thinking what this could mean for the rest of the season, especially the Tour. The plan was something like, Team Sky win the Giro with Sir Bradley Wiggins, to achieve the first British winner in pink to follow his Tour de France victory last year, leaving fellow Sky man Chris Froome to take the Tour honours in Paris. Well depending upon your point of view this could have been the plan but no longer. I say no longer only due to the fact that Wiggo hasn’r managed to win the Giro, the Tour De France tougher brother. Today Wiggins has withdrawn from the Giro with a chest infection and has returned to the UK to recover in time for the tour. He must be thinking even more now he has the right to defend his title and should be given the opportunity to do so. Im sure his team mate Chris Froome feels its his year after the reports he has been assured he will lead the team in 2013. The fact is now Sky will have two men pushing each other for the title. One thing is a definate Sir David Brailsford now has to use all of his skill and experience to manage the expectations of these two “heavyweights” in pro cycling. There are a few other factors to add to the mix. Last year Alberto Contador was banned and surely will be a main contender as will Vincenzo Nibali (unless the Giro takes it out of him). It could be agrued that riders such as Contador and Nibali don’t use (or need) a team compared to the Sky riders or is that because Sky are able to dominate at the front of the bunch and control the race? Surely this is down to the type of riders they are and the fact they are all different. Sky having a double team leadership could be a way of attacking the field with two very strong riders and then let then fight it out in the final week, or could the fact they have two capable riders work against them as they may have split resources. At the end of the day I, like many, don’t know anything and we will find out as the tour develops. Its a waiting game but now that Bradley Wiggins was not able to win the Giro due to his chest infection and Froome continuing his tour preparation it makes for an interesting build up to the tour grand depart in Corsica. Who said cycling was boring! Watch it and you’ll be hooked. I don’t knbow about you, the Giro hasn’t finished yet and already I am looking forward to the greatest cycle race in the world. Today I turned 36! In itself not a “milestone” birthday. So at 36 I have decided to try blogging! In two months my friend and I (along with thousands of others) will cycle from London to Brighton for The British Heart Foundation in the second night ride. I did the first one last year and loved it. My expectations have changed one year on. A year ago I was in the final week of preparation as the ride was in May and the weekend before I was at Lords for a test match. However in just seven weeks time I will attempt the ride for the second time, with more than an ambition to complete it. What has changed? I still want to raise money for The British Heart Foundation and you can show your support for me here. Now I’ve completed the course i want to push myself, just to see what I can do. Last year I completed the ride on a mountain bike in 6.5 hours. This included three twenty minutes rest stops and a ten minute rest to take in the view at the top of Devil’s Dyke. Therefore I feel I can easily reduce the time by an hour. Now the bike. I have a new road bike which is lovely and means I can maintain a higher moving speed. In training rides this is comfortably 24 kmph. With a little more focused training this could be increased to 25 kmph, meaning a possible ride in 4 hours! I believe this can be achieved. Better preparation, with gells etc, will help, plus a better machine will allow me to achieve my new goal, or at least get very close to it. From reading many reviews shoes clipped into the pedals provide a much more efficient use of energy transfer from foot to pedal, so time can be gained here. The training has been better. Longer more frequent rides on a road bike have built my confidence to climb and descend hills at a much quicker pace than last year. Knowing the route and hopefully not taking a wrong turn will help as this cost 10-15 minutes last year too! Well only time will tell if i am successful or not, but please if you feel you can help The BHF and you can give a few pounds please do so via my fundraising page.